Bring big budget moves to your DSLR productions. The compact form factor and lightweight nature of the MōVI M5 3-axis stabilizer continue to push the boundaries of what’s possible with handheld camera movement. 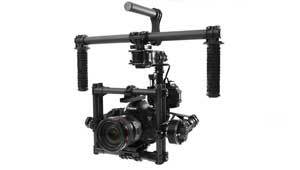 From weddings to indie features, the M5 gimbal will raise the production value on any project out there.